BBC Asian Network & 6Music to close? My initial slightly tongue in cheek tweet doesn’t really communicate just how depressing news that the BBC “could” be set to cut two of its digital stations really is. The loss of BBC 6Music and The Asian Network may only directly effect around a million listeners but the decision would have huge ramifications on everything from the viability of up and coming new bands, the BBC’s relevance to ethnic minorities, and the future of DAB Digital Radio. It would signal a betrayal by Mark Thompson of the very reasons the BBC exists, ie to represent and provide for EVERYONE irrespective of commercial cost, niche or minority. Perhaps its a sop to a potential incoming Conservative government or to the Murdoch press who broke the story describing the BBC as “Big, Bloated and Cunning“. If so its naive, Murdoch doesn’t dislike a “bloated BBC” its the BBC as a concept, as a public service that he considers disgusting. The idea that for around the price of a Sky Sports subscription people can get TV, national and local radio, iplayer, and a world respected website all without the proprietors enforced political bias is anathema to the man. Snivelling cockwheasel Tory Shadow Culture minister Ed Vaizey greeted the closures as both “intelligent and sensible“. In 2009 The Sun switched its support to The Conservatives. As my earlier tweet hinted Im by no means an evangelical 6music listener but the station has carved out a niche particularly for unsigned and up and coming new acts. Its live sessions in particular have provided a first breakthrough for countless bands who quite simply wouldn’t be heard without it. The Asian Network is even more vital for acts with much less chance of exposure and by extension ability to earn a living. The stations South Asian remit takes in everything from Bhangra to Bollywood and the British Asian Underground, all styles unlikely to trouble the airwaves anywhere other than on The Asian network. And its not just about exposure, Performing Rights Society (PRS) money paid per play on stations like 1xtra and Asian Network provide financial support to artists. Pirate radio, and most commercial stations don’t pay out for plays in the same way the BBC stations do so its closure could end careers, and starve scenes of both exposure and an income. The Asian Network also serves a section of licence fee payers arguably under-represented by Auntie. The cost per listener may be fairly high at the moment but the cost of its loss in terms of minority communities feeling any connection with the BBC could be even greater. Leaving aside George Lamb, 6music has begun to fulfil the dreamed for potential of being the station John Peel would have wished for and less the one your middle of the road dad would appreciate. There’s a long way to go until Peel would truly have approved but recruiting people like Jarvis Cocker who’s a musically respected name, rather than just a name is a step in the right direction. Take a listen to the Jarvis Cockers Valentines Day special for an example of a wonderfully diverse, intelligent piece of radio at its best. In The Guardian Phil Jupitas explains how the stations eclectic output simply isnt available anywhere else on the dial. Particularly during the day commercial stations who lack the freedom afforded by licence fee backing have no option but to pump out the most popular mainstream music possible. Like any other station 6music has a playlist that forms the bedrock of its output but DJ’s on the channel are also allowed to play their own choices irrespective of style. As far as I’m concerned 6music is worth the 6 million pounds (or 10 x Chris Moyles paycheck) a year just for providing a home to Adam Buxton and Jake Cornish. I listen to the music free podcast rather than the live show, partly because if Im honest I find the music a little bland. All I can say is whoever penned the old joke about “these arnt wrinkles, theyre laughter lines…. REPLY: Nothings that funny!” never subscribed to the A&J 6music podcast. Watch A&J NWA cover “Help The Police”. DAB Digital Radio will also be badly hit by the loss of two of its most high profile stations. How many people who bought digital radio’s would like Charlie Brooker of thought twice without particularly 6music. As with TV, the government will no doubt be keen to sell off the analogue radio spectrum once the digital switchover is feasible at around the 50% take up point. The figure has barely broken 20% as yet so DAB itself could be fatally undermined by this ill conceived plan. When The Times leaked news of 6music’s possible closure SaveBBC6music immediately began trending in the top 10 Worldwide tweets and Facebook groups sprang up dedicated to demonstrating the strength of feeling among its 700,000 listeners. Hopefully the thousands of “Save6music” campaigners will shout equally loudly for the Asian Network too. By demographic coincidence 6music’s largest listening type, 30something white middle class males happen to also be the type likely to spend inordinate amounts of time tweeting, blogging and updating their facebook status. I’m in no way knocking the wonderful outpouring of support 6music has received but DJ’s like Bobby Friction or Pathaan’s Musical Rickshaw on The Asian Network are as much musical champions of the unchampioned as Steve Lamacq on 6Music is. Their survival is about fighting for musical diversity and as such the two stations are intertwined as a cause. Anyone who’s a truly a music lover should be equally passionate about the survival of both. As a BBC staff member I should to declare an interest, but my main interest is in musical diversity. An example being the new scheme set up by the BBC Introducing team who’ve given vital exposure to new bands across the nation. The volume of music uploaded to the Introducing website has been phenomenal, and as the BBC has a duty to listen to it all they’ve recruited music fans from any part of the BBC. The upshot, I’m assigned a local radio station area and while Im munching my baguette at lunchtime I can listen to anything uploaded from that location. You can’t fast forward or skip tracks but its a privilege to get to hear such a wide variety of music. If in my humble opinion I think a track is worthy of consideration for airplay I can click a button to forward the song on to the Introducing show for that part of the country. They are totally free to ignore my recommendations but it is to borrow The Times’ phrase “a cunning” way of ensuring as much music as possible gets listened to, and where possible given vital exposure. And I think Peel might actually prefer the edgier bits of 1xtra, rather than 6music’s indie ghettoism. But since he’s dead, we’ll never know. And I think Peel might actually prefer the edgier bits of 1xtra, rather than 6music's indie ghettoism. But since he's dead, we'll never know. Thanks Del, although the Moyle’s thing is a pretty spectacular fail! I thought it sounded dubious but I was posting and dashing out so didnt check. Ta for pointing out for wildly inaccurate it was! I would totally agree with you on Peel, 6music is generally very white, very middle class and achingly indie but its been getting alot better and is at least an alternative to Radio1/Capital/Heart etc. Is there a particular show you’d recommend on 1xtra?? Not really tuned in enough to be honest so a tip would be great. Thanks Del, although the Moyle's thing is a pretty spectacular fail! I thought it sounded dubious but I was posting and dashing out so didnt check. Ta for pointing out for wildly inaccurate it was! I would totally agree with you on Peel, 6music is generally very white, very middle class and achingly indie but its been getting alot better and is at least an alternative to Radio1/Capital/Heart etc. Is there a particular show you'd recommend on 1xtra?? Not really tuned in enough to be honest so a tip would be great. 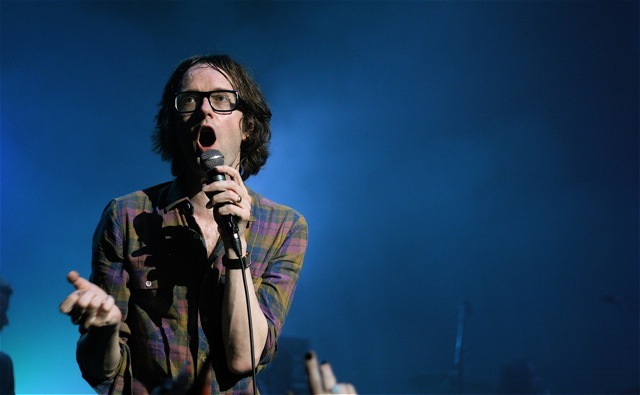 Why is Jarvis Cocker the posterboy for 6music? Hehe. I just “discovered” his show last week and the interesting parts were his interviews and his readings not the music he plays (which often I can’t stand and skip a lot. Thanks, iplayer). Why is Jarvis Cocker the posterboy for 6music? Hehe. I just "discovered" his show last week and the interesting parts were his interviews and his readings not the music he plays (which often I can't stand and skip a lot. Thanks, iplayer). 1. It’s exactly the right size. The BBC Asian Network is neither a cartel nor a community radio station. It’s big enough to reach the largest possible UK audience for Asian music, but not so big that competition can’t thrive beside it. As it is, the network can robustly deliver on the BBC’s Charter yet be flexible enough to scale its services professionally as resources wax and wane. 2. It brings you the world. The BBC Asian Network showcases the best in emerging music and culture from young British Asians. It’s the only place to hear contemporary Asian sounds alongside new and important music from across the UK and the world. The station’s unique approach puts Asian music in a British context, connecting listeners beyond their community. 3. It’s the best match of format and content. The structure and output of the BBC Asian Network has been developed and refined over more than a decade. It is a true network, grown from community roots by professional expertise. It continues to develop to meet public expectations. No brand or station created adhoc could better serve its listeners’ needs. 4. It stands for every flavour of Asian music. As a service, the BBC Asian Network is unique in representing music culture from across the whole of the Asian diaspora. The station’s output is genuinely accessible to all, reaching out beyond borders, faith and language groups, yet always sensitive to cultural preferences and divisive local issues. 5. It’s the flagship for British Asian media. The BBC Asian Network sprang from the energy and enterprise of British Asians who have been active in the UK media industry since the 1980s. Their spririt helps drive employment and expertise at home and generates overseas interest in the UK. The BBC Asian Network is the credible public gateway to this world. 6. It’s what the BBC stands for. Beyond fulfilling the letter of the BBC’s Charter, the Asian Network is authentic to its spirit. The station defines its UK Asian audience as an active British community, linking Asian interests with the whole. It’s where British news, sport, soaps and stars become ‘desi’. 7. It’s the UK’s gateway to Asia. The output of the BBC Asian Network is unique. The new music it plays distils the breadth and dynamism of British popular culture and the UK Asian experience. Britain is the birthplace of the ‘desi’ sound, and the BBC Asian Network is where Asia tunes in to it. 8. It’s the Radio One of Asian Music. The BBC Asian Network reaches an audience that transcends its target demographic. Thousands of listeners from across all the UK’s communities tune in, and all are made welcome. Professional. contemporary and accessible, the BBC Asian Network works for everyone. 9. It has the technology right. The BBC Asian Network uses the best delivery methods for its uniquely diverse audience demographic. It helps some communities to learn to let go of medium wave, while serving others through digital, web or iPlayer. No other station can meet the diverse needs and habits of the nation’s Asian community. 10. It makes new music happen. With live artist recording sessions and a presence at niche music events across the country, the BBC Asian Network is instrumental in getting new music and new artists recorded. By broadcasting and promoting the UK’s Melas helps makes them popular and accessible to all. 1. It's exactly the right size. The BBC Asian Network is neither a cartel nor a community radio station. It's big enough to reach the largest possible UK audience for Asian music, but not so big that competition can't thrive beside it. As it is, the network can robustly deliver on the BBC's Charter yet be flexible enough to scale its services professionally as resources wax and wane. 2. It brings you the world. The BBC Asian Network showcases the best in emerging music and culture from young British Asians. It's the only place to hear contemporary Asian sounds alongside new and important music from across the UK and the world. The station's unique approach puts Asian music in a British context, connecting listeners beyond their community. 3. It's the best match of format and content. The structure and output of the BBC Asian Network has been developed and refined over more than a decade. It is a true network, grown from community roots by professional expertise. It continues to develop to meet public expectations. No brand or station created adhoc could better serve its listeners' needs. 4. It stands for every flavour of Asian music. As a service, the BBC Asian Network is unique in representing music culture from across the whole of the Asian diaspora. The station's output is genuinely accessible to all, reaching out beyond borders, faith and language groups, yet always sensitive to cultural preferences and divisive local issues. 5. It's the flagship for British Asian media. The BBC Asian Network sprang from the energy and enterprise of British Asians who have been active in the UK media industry since the 1980s. Their spririt helps drive employment and expertise at home and generates overseas interest in the UK. The BBC Asian Network is the credible public gateway to this world. 6. It's what the BBC stands for. Beyond fulfilling the letter of the BBC's Charter, the Asian Network is authentic to its spirit. The station defines its UK Asian audience as an active British community, linking Asian interests with the whole. It's where British news, sport, soaps and stars become 'desi'. 7. It's the UK's gateway to Asia. The output of the BBC Asian Network is unique. The new music it plays distils the breadth and dynamism of British popular culture and the UK Asian experience. Britain is the birthplace of the 'desi' sound, and the BBC Asian Network is where Asia tunes in to it. 8. It's the Radio One of Asian Music. The BBC Asian Network reaches an audience that transcends its target demographic. Thousands of listeners from across all the UK's communities tune in, and all are made welcome. Professional. contemporary and accessible, the BBC Asian Network works for everyone. 9. It has the technology right. The BBC Asian Network uses the best delivery methods for its uniquely diverse audience demographic. It helps some communities to learn to let go of medium wave, while serving others through digital, web or iPlayer. No other station can meet the diverse needs and habits of the nation's Asian community. 10. It makes new music happen. With live artist recording sessions and a presence at niche music events across the country, the BBC Asian Network is instrumental in getting new music and new artists recorded. By broadcasting and promoting the UK's Melas helps makes them popular and accessible to all. 95% of the BBC’s output is utter crap. but the licence fee is still currently better value than a subscription to Dingo TV. but it won’t be for long if this is the way they’re going to carry on. 95% of the BBC's output is utter crap. but it won't be for long if this is the way they're going to carry on.